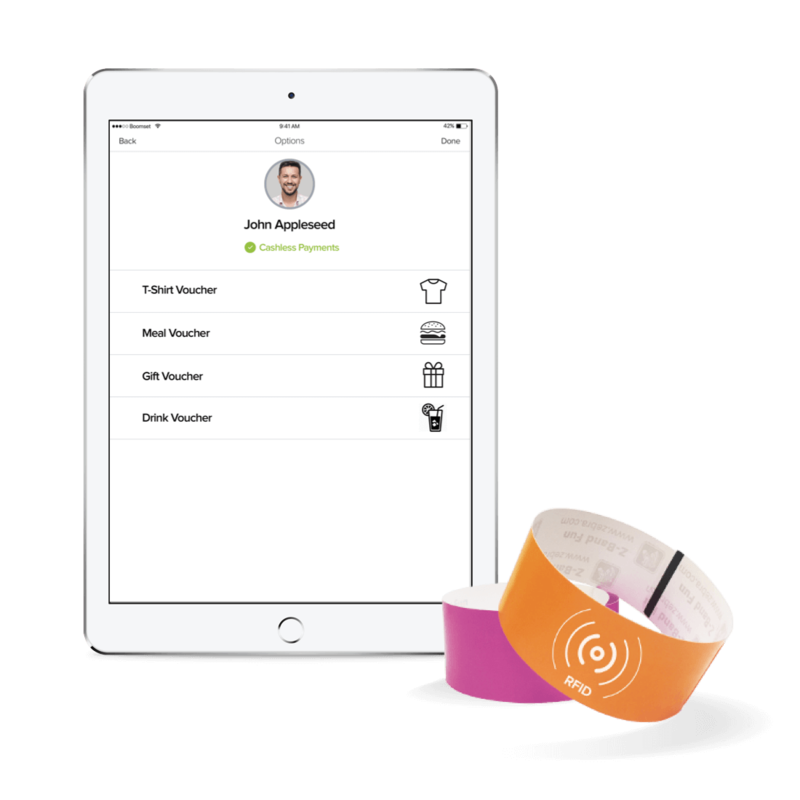 Increase networking opportunities and upgrade attendee tracking with custom name badges and wristbands. 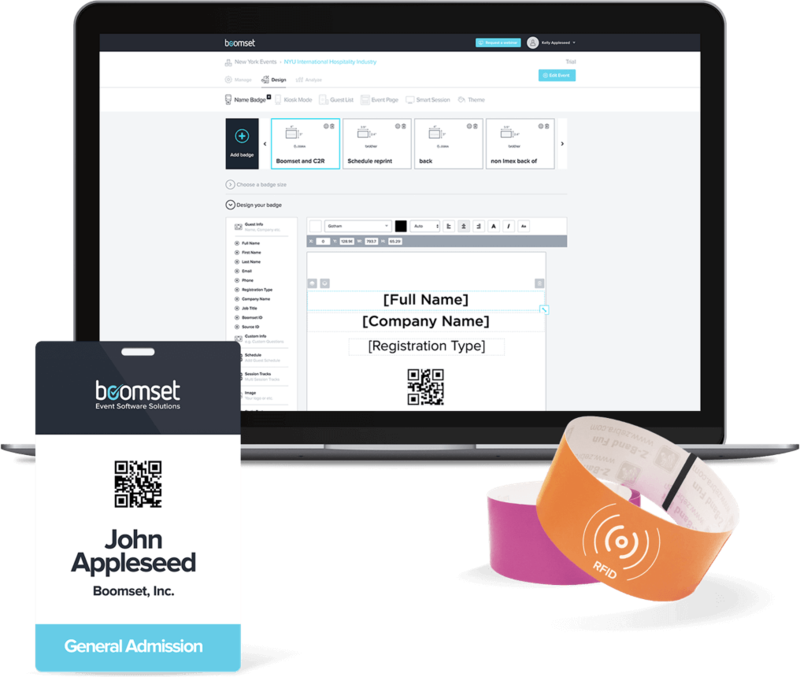 Select and design your event's badge on the Boomset web platform, choosing from a variety of options and layouts. Print double-sided badges, event schedules, and dynamic attendee information - even without an Internet connection! 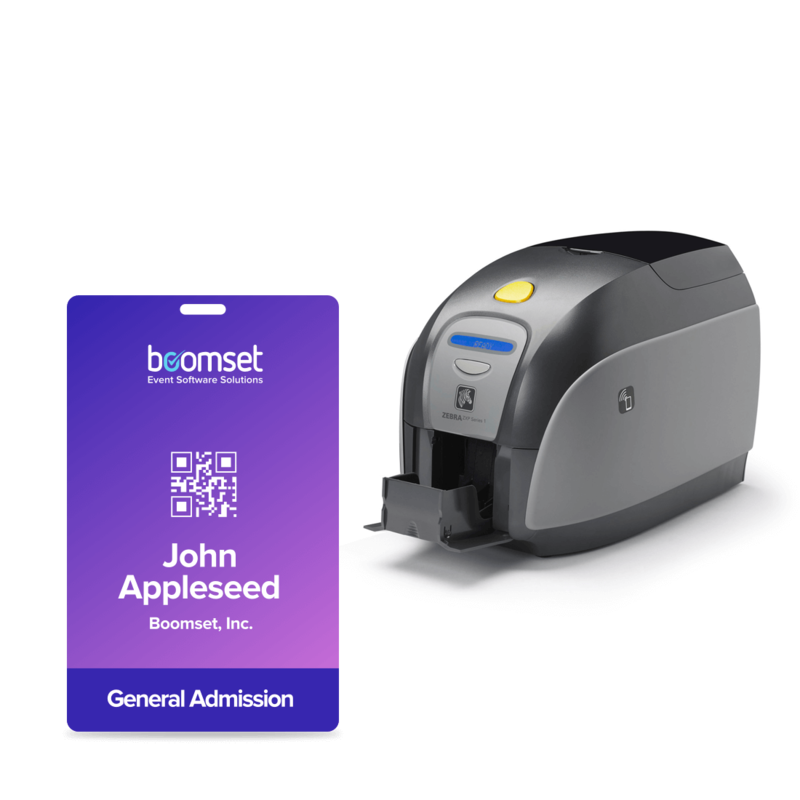 Instantly print professional, lightweight, and colorfully customized ID cards or badges in seconds. A durable way to display event branding or attendee information without compromising on materials or time associated with pre-printing. 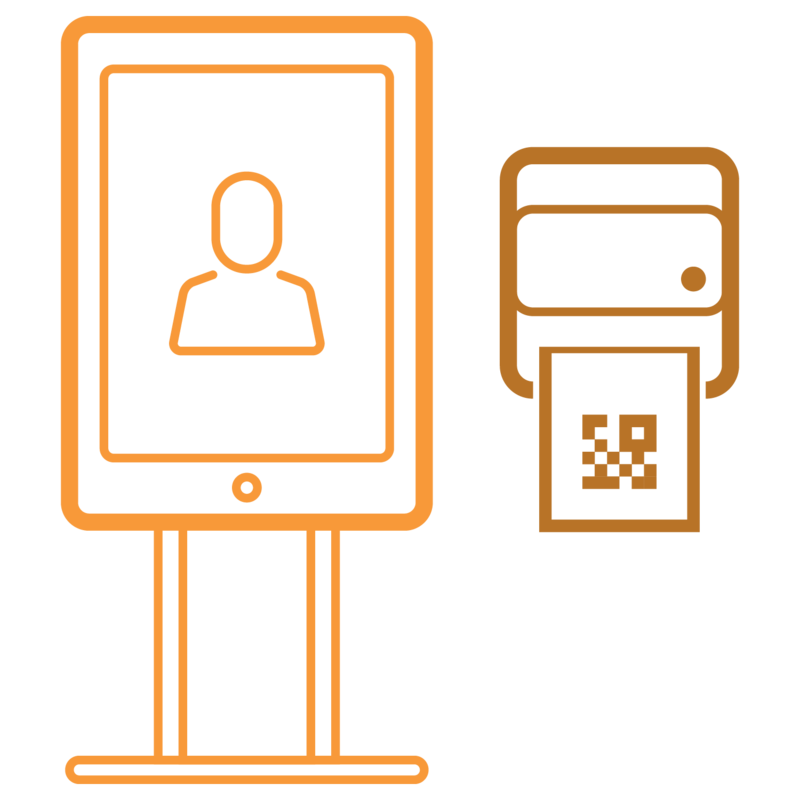 Effortlessly manage your event with plastic card badges that print in seconds! 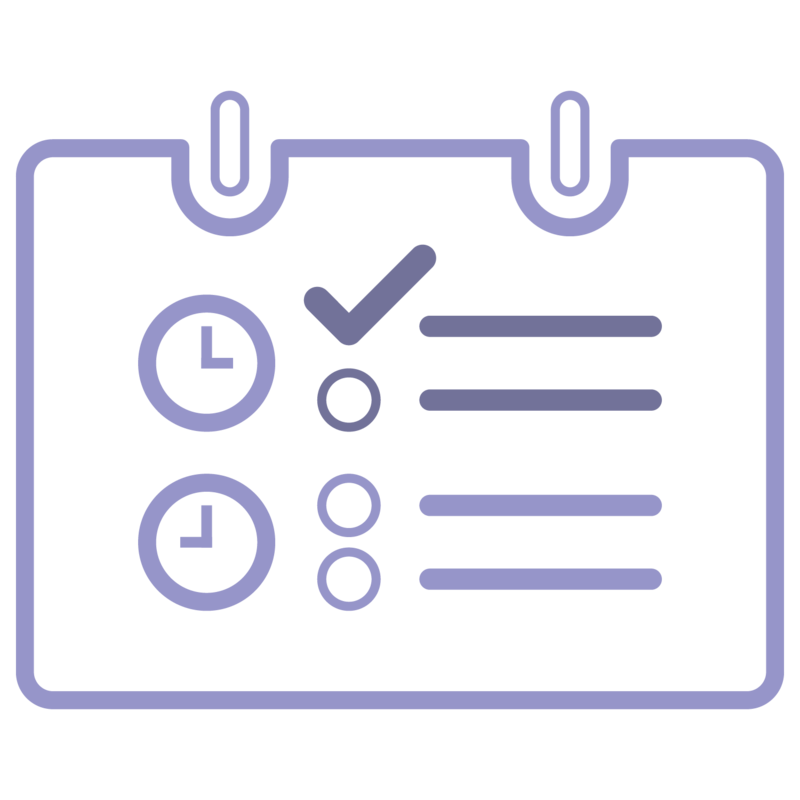 Align your event objectives with the best badge type for your event and budget without ever having to manually handwrite badges or pre-print again. From adhesive and paper badges to wristbands, plastic cards, and more, dozens of sizes and styles are available for your unique event needs. 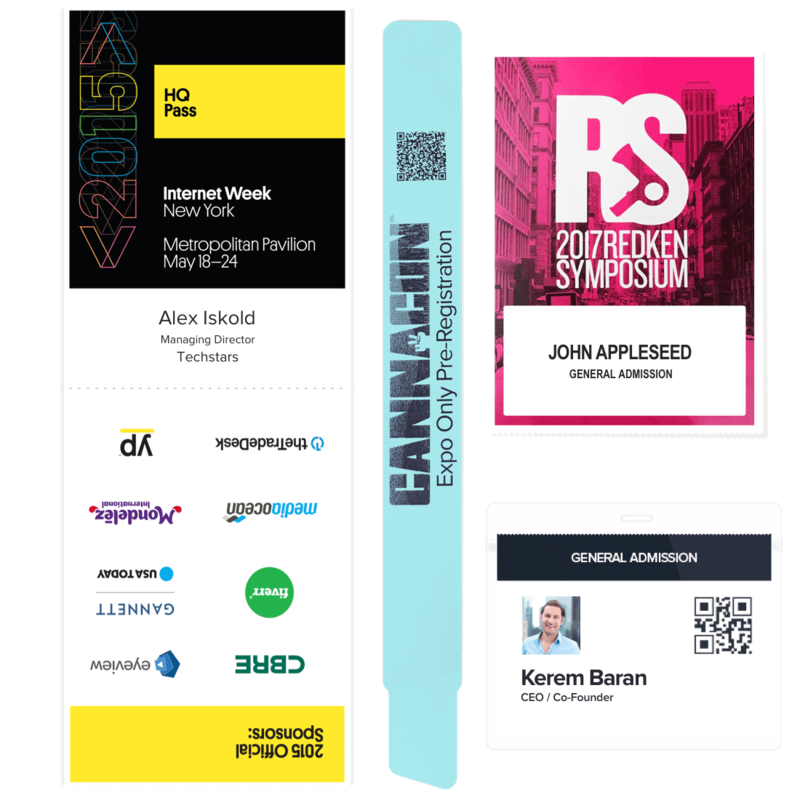 Print double-sided badges to keep important information on the back and/or allow attendees to easily view their event itinerary! 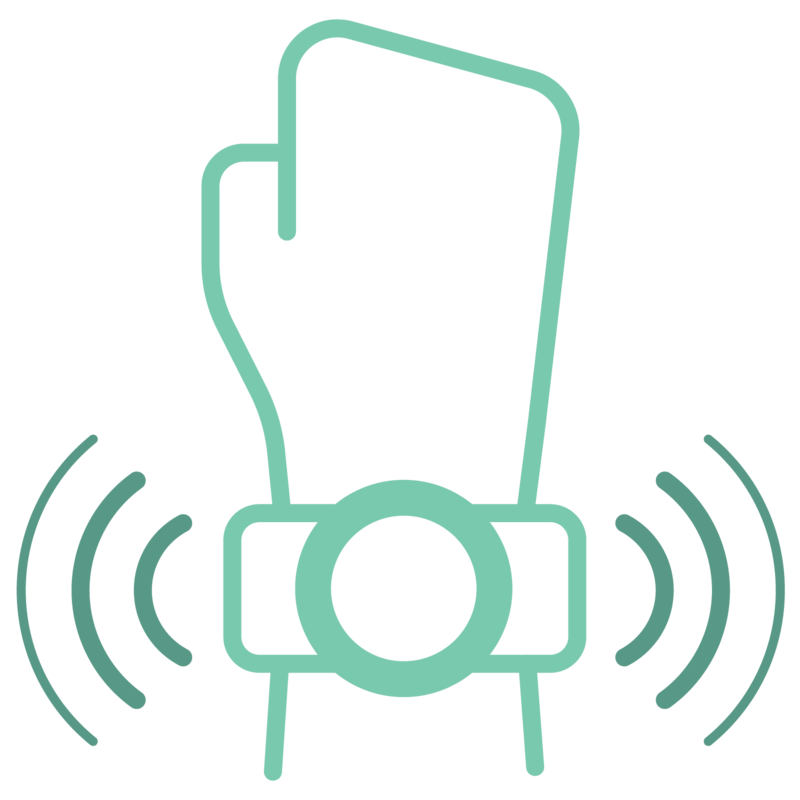 Enhance security and increase the level of sophistication with wearable badge technology. 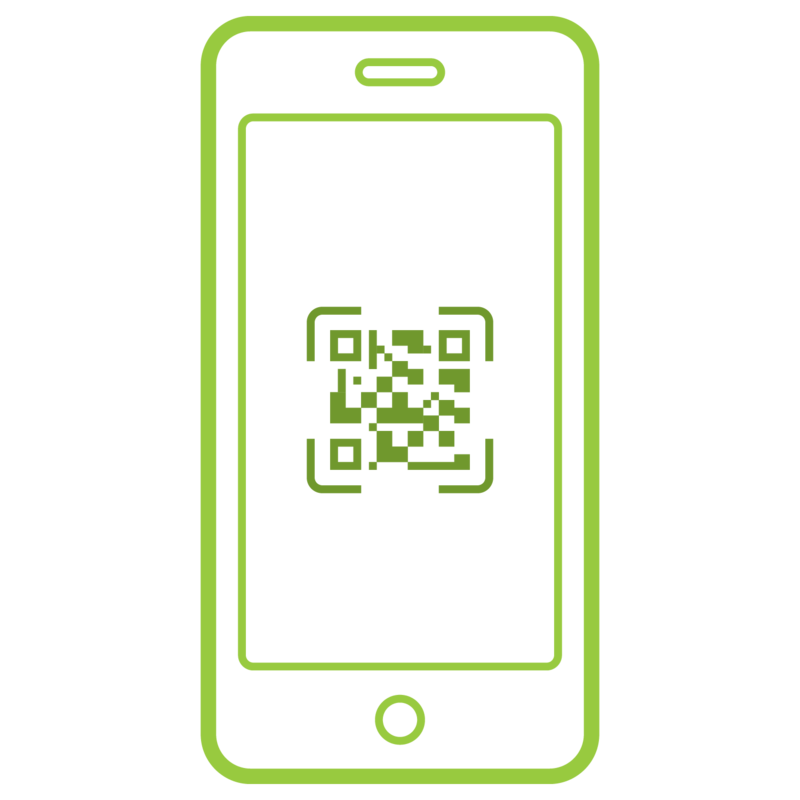 Any badge or wristband can include paired QR codes or become RFID chip-enabled to improve overall aesthetics and precisely gather event ROI. 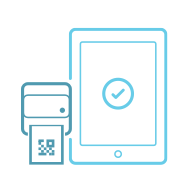 Manage access control and track session attendance, or replace your guest’s wallet with RFID badges and cashless payment software.